" Reeve F.N Marett and T.W Rind, manager of the Dominion Bank here, went toToronto to interview officials at the Head Office of the Dominion Bank in regard to an increased line of credit for Marmora Village. They were successful in their mission and the school teachers will now be paid in full up to "May 1st". Let us know if you see errors, or if you can fill in blanks. We're happy to make the changes. The eight township public schools were referred to as School Sections and were numbered one to ten. There is no reference to schools Number 4 and 9, if they ever existed. In 1964, the board met with the Township Council and decided to close all six of the remaining township schools. In several of the schools the attendance had fallen below the minimum of nine pupils. Shanick Public School had already been closed since November, 1942, and in June, 1948, the Malone Public School was closed. The Township agreed to pay $1,200.00 a year to Marmora and $800.00 a year to Deloro to have all the children from these township schools bused to Marmora or Deloro for their education. Teachers for these early township boards were not rehired if they failed to keep discipline, if parents complained their children were not learning, if health problems arose in the school, or if the destruction of school property exceeded the board's tolerance level. School caretakers were also hired and fired at random. Their duties included sweeping, mopping, dusting, oiling, cleaning the windows, piling wood into woodsheds, looking after the toilets and lighting the fires. (one hour before school started.) Salaries ranged from $35.00 to $80.00 a year. On January 1, 1965 a new board combining the Deloro Village and the Marmora & Lake Boards operated under the respective chairmanship of Stewart Hardy and Mrs. William Regan. This board was replaced in January, 1968 when the new Hastings County School system came into effect. 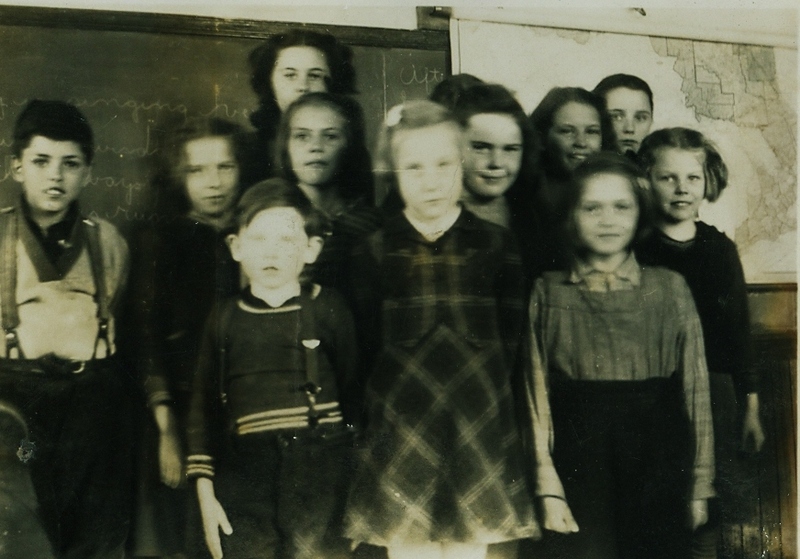 WHITE SCHOOL 1946. BACK ROW - 4TH BOY TO THE RIGHT JOHN "JACK" CLEMENS, DOROTHY HULSMANS, TEACHER, UNKNOWN GIRL, LEO HULSMANS (MY DAD) AT THE END STANDING. 2ND ROW BOY STANDING: DAVID HULSMANS, BESIDE HIM JEAN HULSMANS. FRONT ROW SITTING 3RD BOY HENRY HULSMANS. John Clemens is front row far right. Barbara Mitts went to this school. Centre Line Road, south of Beaver Creek Road - formerly known as the Bailey School House. One teacher was Maggie Meraw, who married Mr. Robert Jones. Graham Bell Grades 1 & 2 at this School. One room, 8 grades. We have no information on this news item. Glenn Mawer wrote: That's my old school. Joan Chapman [Fox] was my teacher. She did a great job , many memories. Lorilei Wells Mayhew wrote: My grandparents later built their home on the site. John E. Hutchings added: There is where I did grade one and part of grade two and a Mrs Gay was the teacher, I believe. Signature inside: May and Lizzie Connors, May 16, 1894, S.S. No. 5, Marmora - sisters of Maggie (Connors) Gallagher who was grandmother of Maloneys and McKinnons. May was engaged to Frank Cook - died from gas poisoning in Toronto. Lizzie was in a wheel chair most of her life - did a lot of lovely needlework. As far as can be conjectured, Malone's first school was a log school-house built in 1862. This building, facing south, took shape on the north side of the main road and west of the house later owned by Miss Ellen Terrion. It was about the summer of 1875 that a new school was constructed about one mile north-east of the log school-house on land purchased from the late Ed. Nihill for one dollar plus the old school property. "It is recalled of Miss Annie Smith, the first teacher in the new school, that on its opening day she paraded the children, two by two ahead. of her from the old building to the new one." According to the notes of Charles Barron. Joe Barron was a teacher at this school. Beverly Thompson: My mother went there! Betty Moffatt. I grew up in next concession over. S.S. 9 was originally built on the Clemenger Road, near the Cook's Cheese Factory, but was torn down and the children transferred to the Cordova School. Annmarie Willman-Sprywrote: That Mrs. Revoy's name was Myrtle & her baby was Pearl. 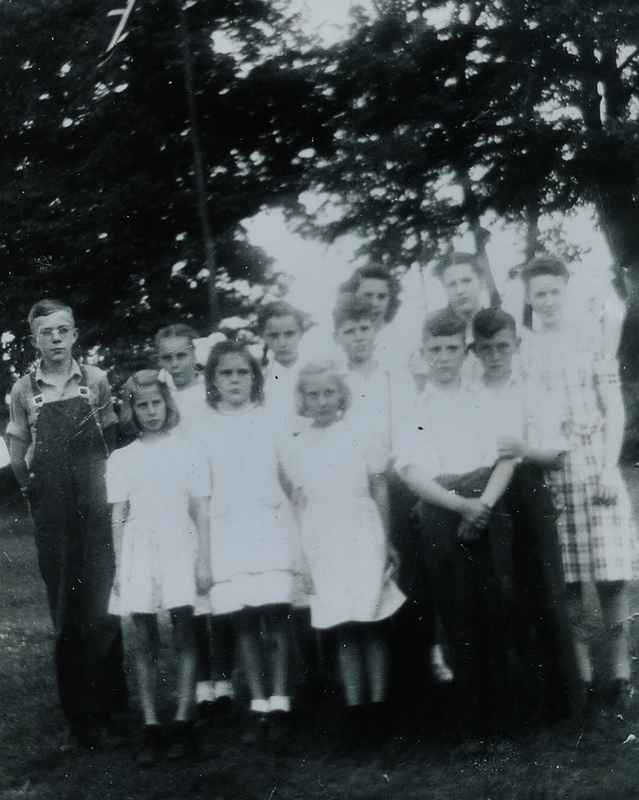 In 1939, teacher Marion Prest arrived in Bonarlaw's one-room schoolhouse. She was paid $700.00 per year, working in a building with no electricity or plumbing, and only a wood stove for heat. Her lodging was a former hotel converted to apartments, costing $5.00 a month. The students kept the fire well stocked in the winter and drew their water from a nearby well. Prest taught grades one to eight for four years. She then left the area but returned in 1956 and lived there ever after.